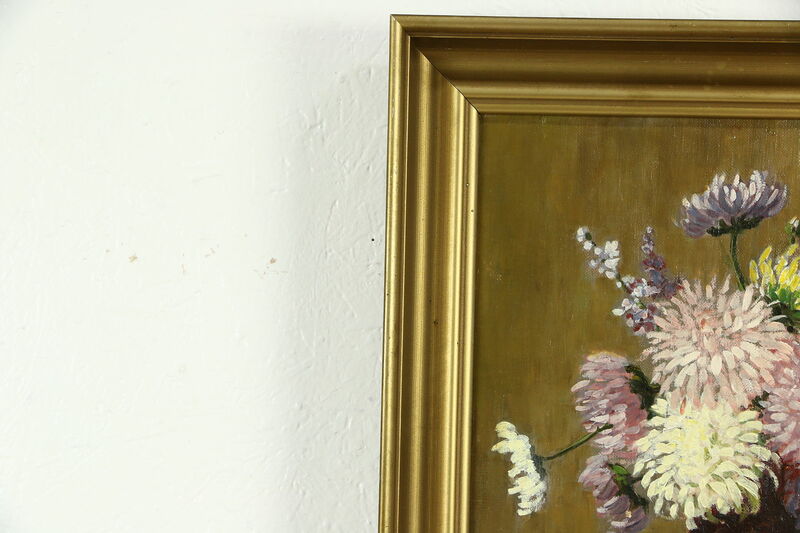 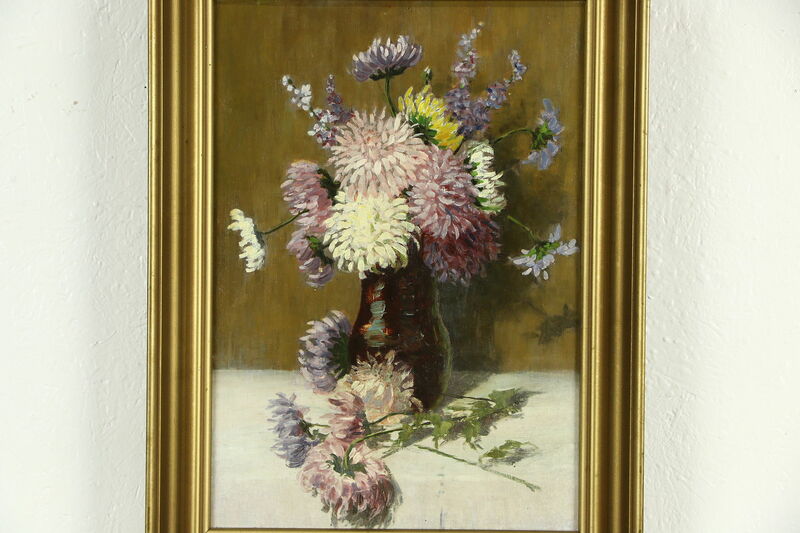 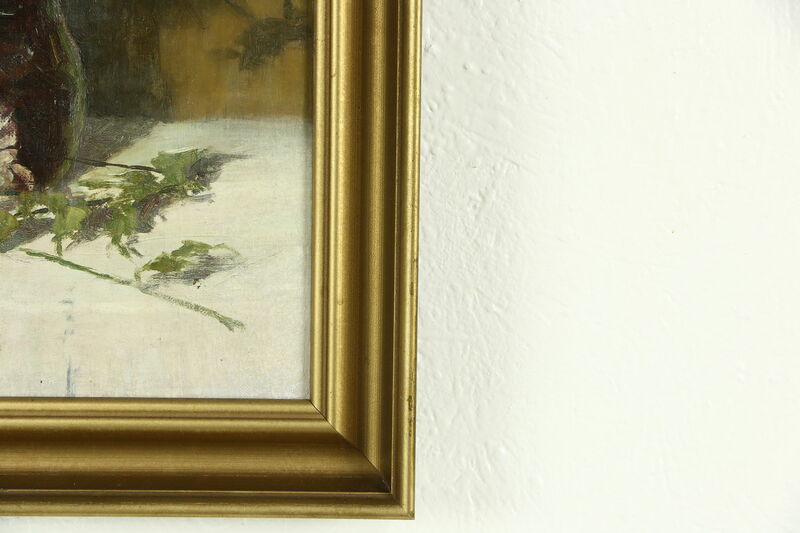 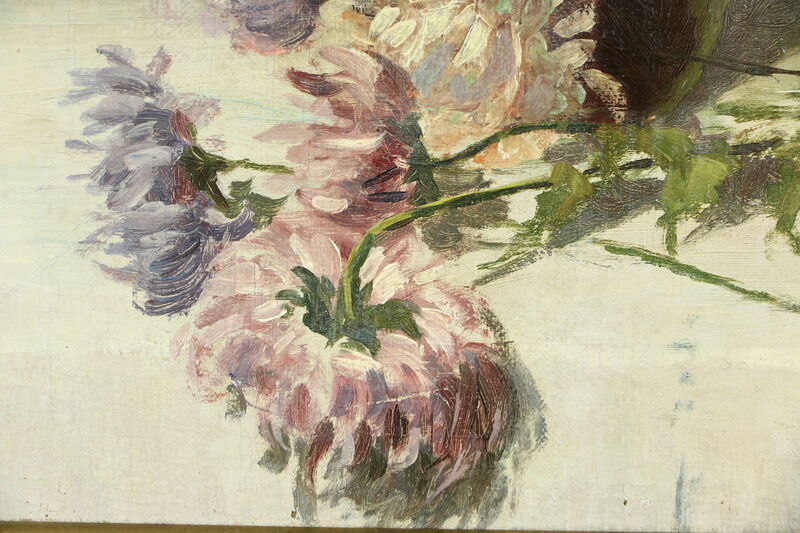 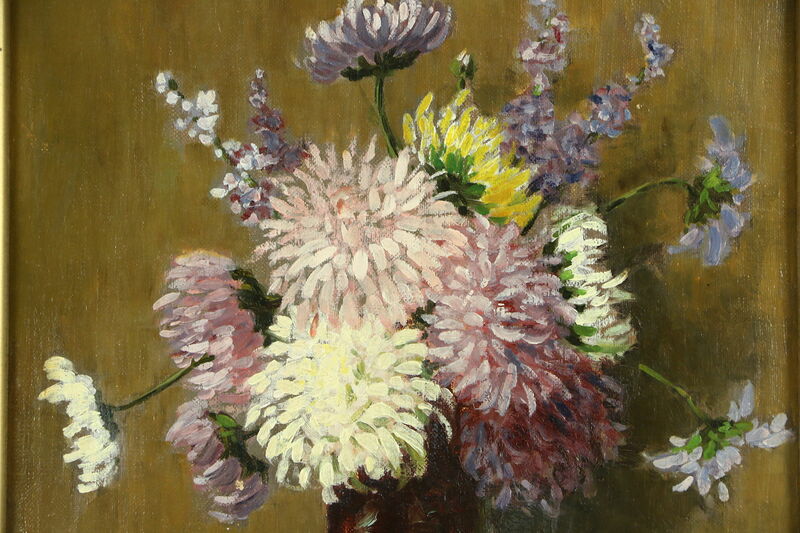 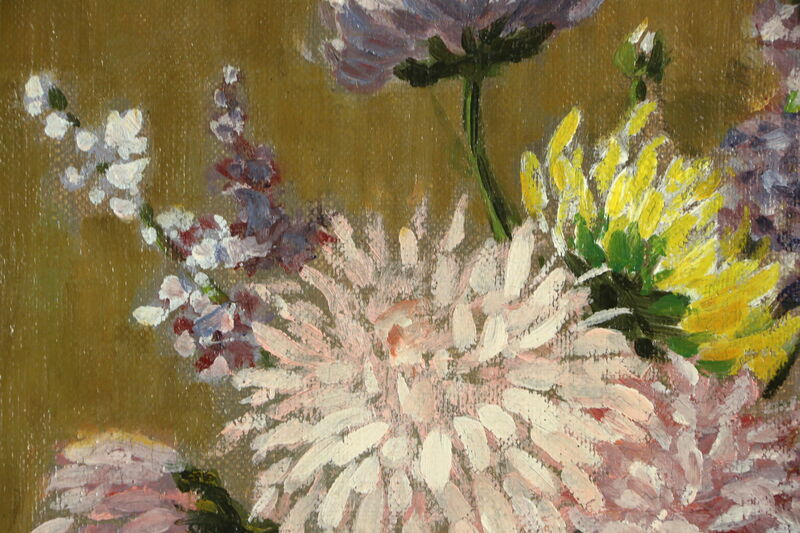 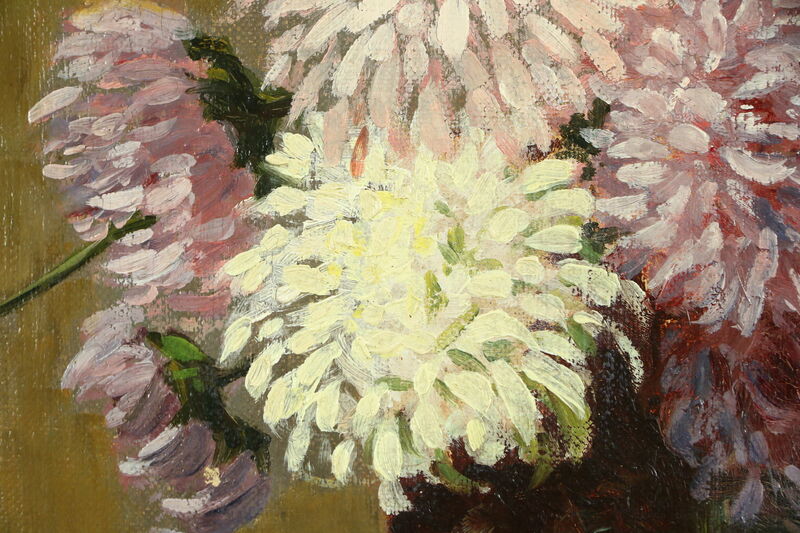 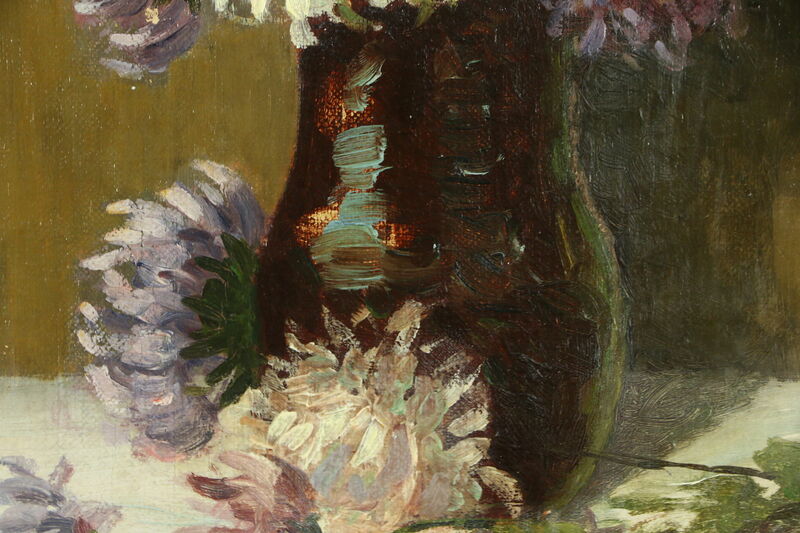 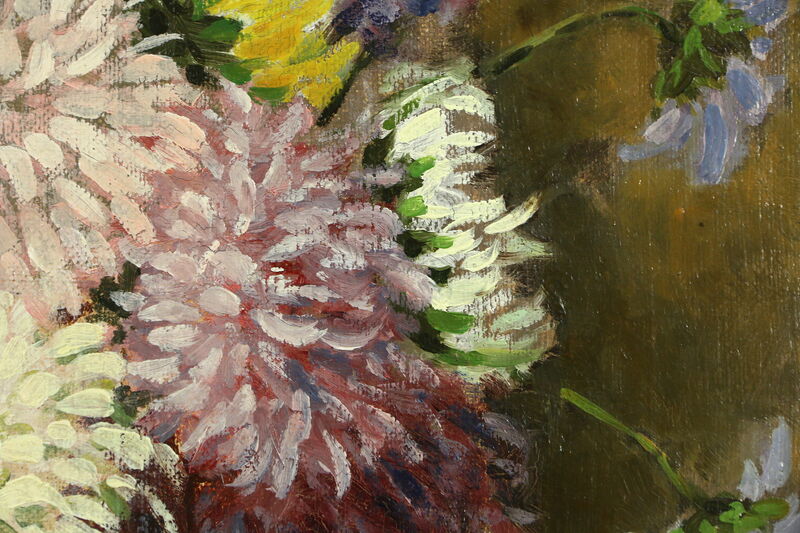 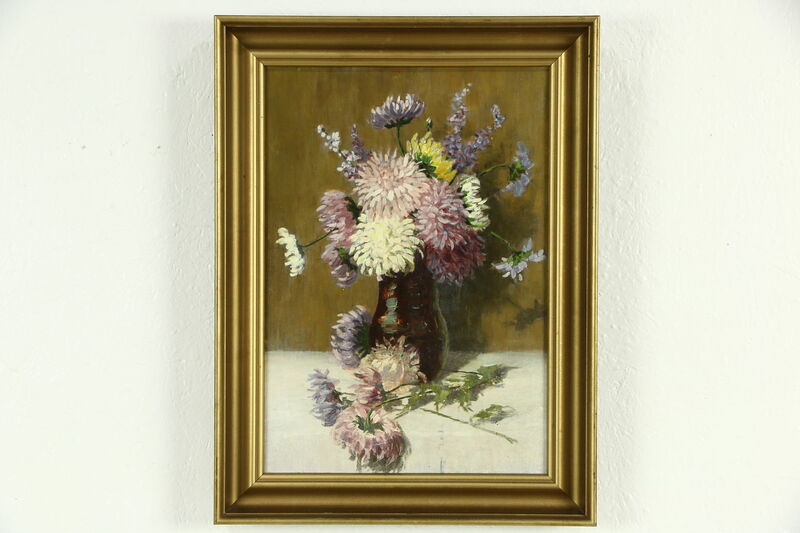 A lovely original still life of flowers in a vase is an oil painting from about 1920. 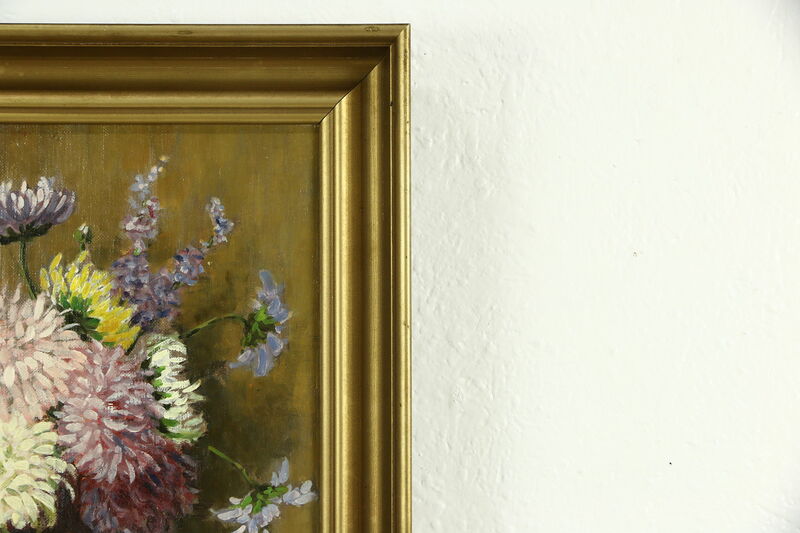 This unsigned work of art shows masterful technique and soft, full colors. 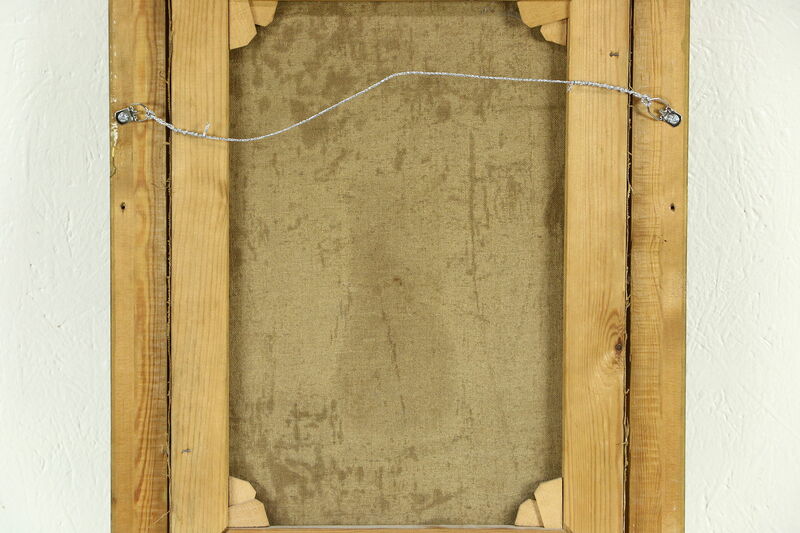 The dark gold frame is original on this picture from Scandinavia. 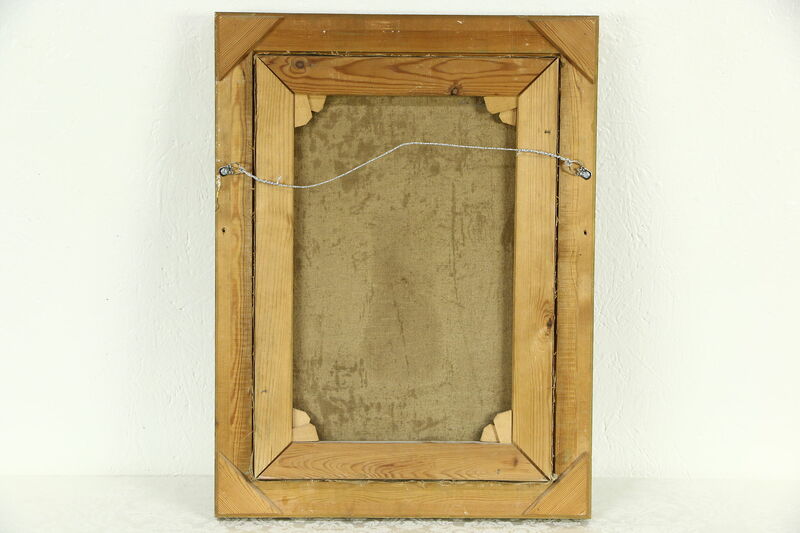 Overall size is 17" wide, 22" tall and 2" deep. 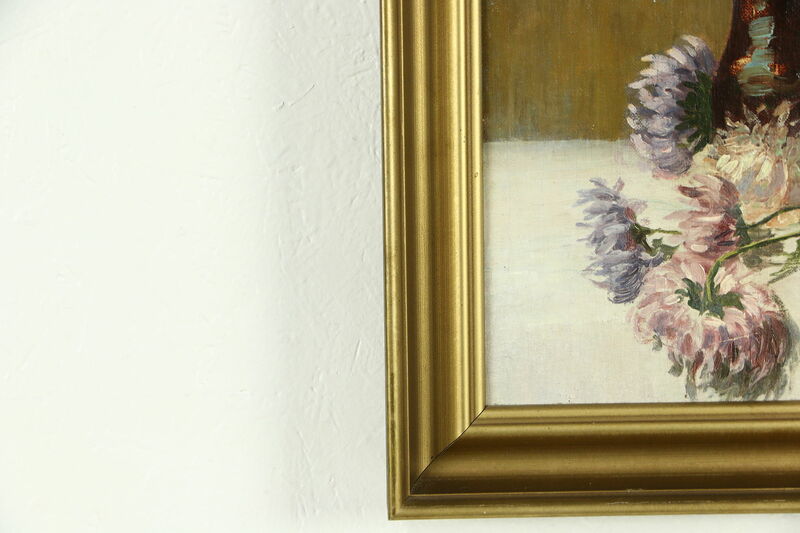 Shipping is $40 in the US.